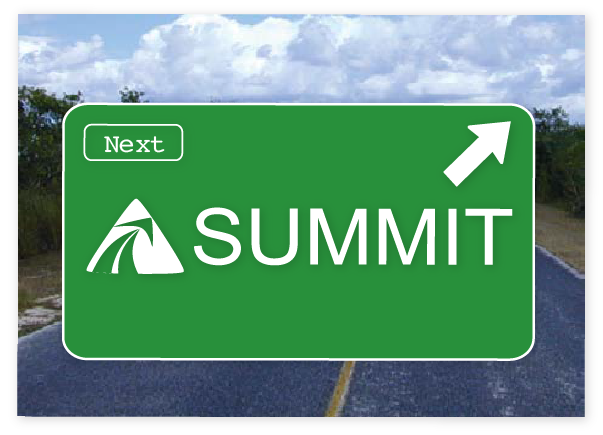 The branding for Summit was created while I was interning with a Christian organization in Waterloo. For a month in 2009 a collection of programers, designers and videographers all lived together in one of the mostly empty residences in the Waterloo Region and created materials and programs to be used by Campus for Christ (now Power2Change Ministries). 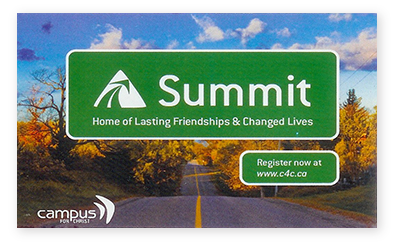 I learned a lot about design from Silas Sing and Benjamin Carlisle and they contributed to the success of both this logo that was used for the annual C4C fall retreats across Canada, as well as the Winter Conference Logo that was also used.